Fix leaky pipes, clogged drains, and more. 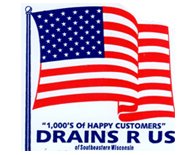 By turning to Drains R Us of Southeastern Wisconsin, you can have all of your drainage and plumbing needs handled. Our team is made up of skilled contractors and a master plumber who have more than 20 years of industry experience. We have the expertise to help residential and commercial clients. Choose us as your go-to rooter company for plumbing services. You won't regret it. Maintain your drainage system by letting our contractors service it regularly. At Drains R Us of Southeastern Wisconsin, we offer complete drain cleaning, repair, and installation services. 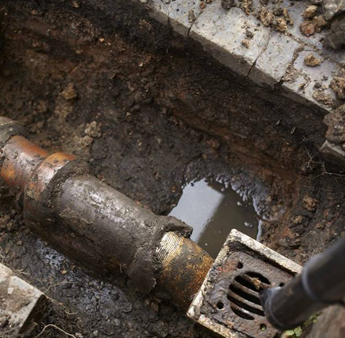 Our technicians can also fix sewer laterals and more. Have skilled contractors maintain your drainage system. Keep the drains around your home or business in good working order with the help of our drainage contractors. Drains R Us of Southeastern Wisconsin offers reasonably priced plumbing services for clients in need. While our team specializes in cleaning and repairing fixtures, we install them as well. With our help, you can have any drainage job completed. Turn to our Racine, Wisconsin-based technicians today to keep your system functioning properly. Our team wants to help people for a great price. Company Mission: Our family-owned-and-operated business' mission is to provide low-cost plumbing services for residential and commercial customers.